Riots in some of the England’s biggest cities have forced PM David Cameron to seek advice from the hardest American cop, famous for curbing crime in New York, Los Angeles and Boston, while Britons bay for the PM’s blood over riots. 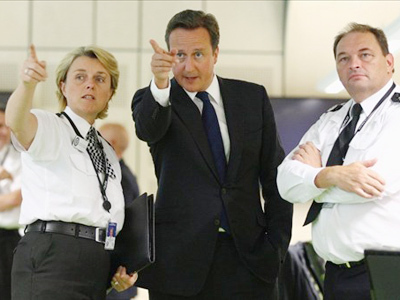 “Super cop” William Bratton has already held talks with the British PM and agreed to go to London to share his experience on dealing with street violence and youth gangs. "I'm being asked to specifically look at the issue of gang crime, gang violence, the British experience versus the American experience, and how we might be able to learn from each other," Bratton told Associated Press. 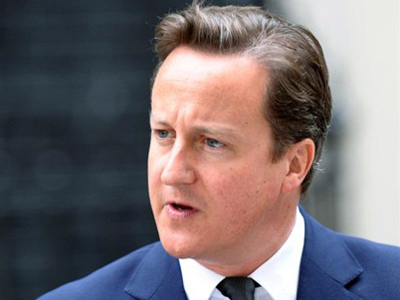 David Cameron’s decision to look for a solution from abroad has met with fierce critics at home. Labour MP Diane Abbott, representing the most-affected Hackney North and Stoke Newington districts, said London's Metropolitan Police, one of the biggest in the world, will be “demoralized” if a foreigner without solid knowledge of British law and British realities were to give advice in these circumstances. The Independent reports that acting Metropolitan Police Commissioner Tim Godwin and president of the Association of Chief Police Officers Sir Hugh Orde have put the prime minister’s hot rhetoric on trial, saying he is not in a position to judge as he was not there when the rumble began, so the indignant words of those who were on vacation last Saturday do not deserve much credit. 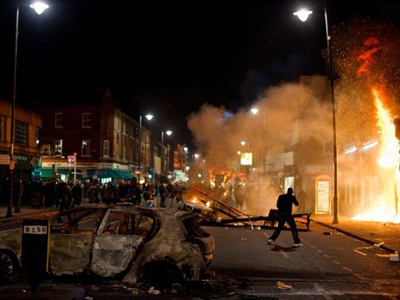 A poll conducted by British firm Ipsos MORI confirms that over a half – 54 per cent – of British citizens do not approve of the actions of the PM during the riot crisis, saying he did not manage to take the situation under control. What infuriated Britons most was that their PM did not bother to interrupt his Italian vacation until the riots had reached their zenith on Monday. Those who suffered street violence mayhem now demand that the rioters be demonstratively punished. 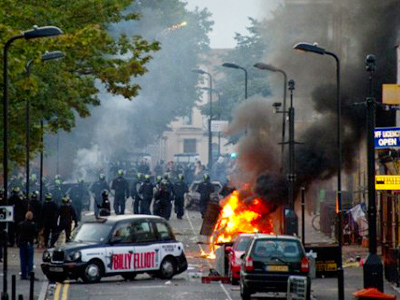 Over 80 per cent of the 60 million British citizens would like to see all rioters behind bars for real. 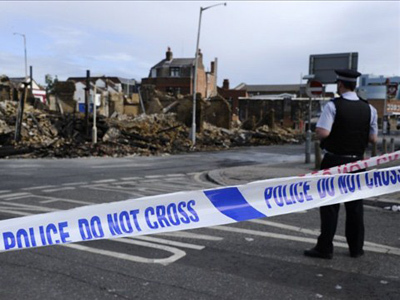 In the meantime extra police squads are being deployed in British cities, restoring order on streets paved with broken glass, amidst torched house shells. 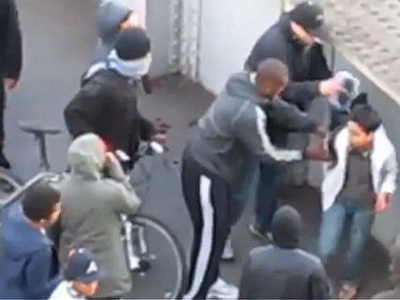 London police report having charged 725 rioters so far with violence and looting, only 122 of whom are under 18, contradicting the initial information that a lot of violence and looting was perpetrated by children. The raids on suspects’ homes are still continuing. 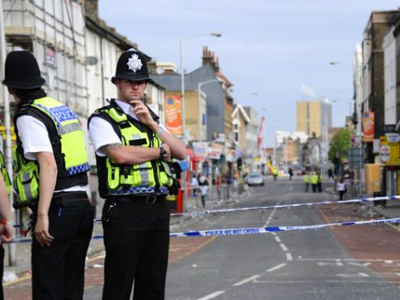 Overall, more than 1,700 people have been arrested throughout the United Kingdom. 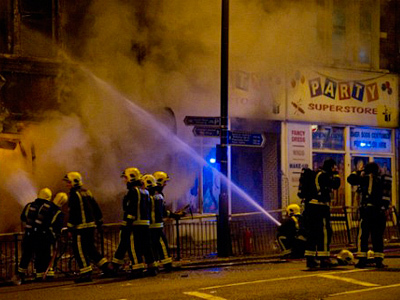 Courts in London, Birmingham and Manchester are working 24 hours a day, trying cases of hundreds of alleged rioters. 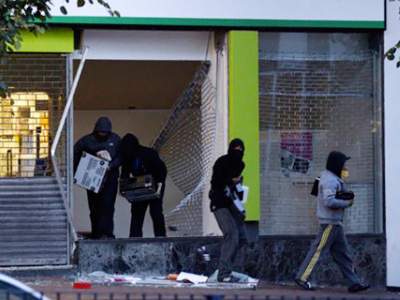 Police in Birmingham are using the help of the local citizenry to hunt down and arrest rioters and looters by displaying CCTV footage of suspects on a giant mobile screen in the city center, also showing contact details to use if somebody recognizes any of the suspects. The UK Parliament was summoned from summer vacations for an emergency meeting on Thursday, at which the prime minister lashed out at criminals, promising to deal with them with an iron fist. He also announced he will look in America’s direction for inspiration to change initially ineffective police tactics and prevent any street violence backslide in the future. The violence was triggered by the fatal police shooting of a 29-year-old father of four, Mark Duggan, who was killed by police in London’s northern district of Tottenham on August 4. The following Saturday, a protest demanding justice turned into a riot, spreading to neighboring city districts and throughout England in the ensuing days.